At Conaway Motors, we remind our customers that exhaust repair in Everett is vital to your vehicle. The exhaust system does a lot more than just guide the fumes from the motor out into the air – although some of that certainly does happen. It cleans some of the harmful particles out of the exhaust from the internal combustion motor, rebreathes it so that it can make your vehicle more fuel efficient and contributes to general air quality. In addition, it cuts down on noise pollution – an issue in some neighborhoods. Repair to your exhaust system can include anything from a broken seal at the manifold to replacing a broken or burned out tail pipe. It means repairing or replacing the catalytic converter – the part that increases fuel efficiency and cuts down on air pollution. It might mean patching or replacing the muffler – that fat little item that connects the tailpipe to the rest of the exhaust assembly, and keeps down the noise from the motor. Think of it as a silencer for your internal combustion engine, if you will. Keeping the exhaust system in good repair is even beneficial to the health of the driver and passengers in your vehicle,because it fixes leaks that could allow carbon monoxide – a deadly poison – to enter the passenger compartment. 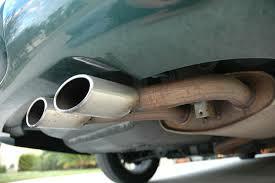 Conaway Motors is prepared to help with your exhaust repair in Everett, just give us a call at (425)905-2424. Our team will be glad to give your system a once-over from the manifold to tailpipe, and all in between. We know that maintaining it is vital to your vehicle and to your health, the health of your passengers and to the world at large.